Director: John E. Desmond, Ph.D. Participate in an fMRI or a TMS experiment! Receive monetary compensation and an image of your brain. The Neuroimaging and Modulation Lab (NIMLAB), directed by Dr. John E. Desmond, is part of the Cognitive Neuroscience Division of the Department of Neurology at the Johns Hopkins University School of Medicine. 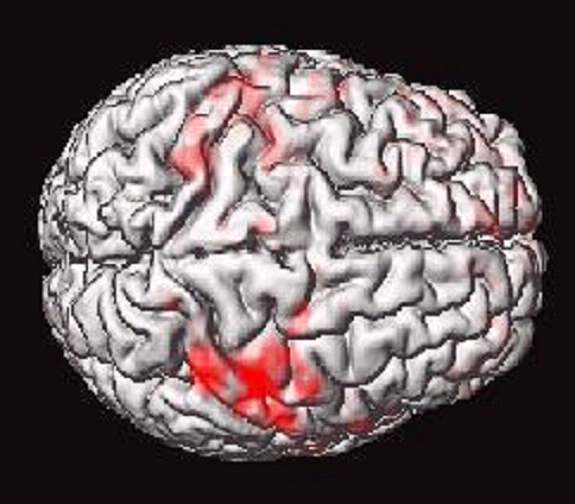 The laboratory investigates neural correlates of cognition and behavior using neuroimaging methods such as functional magnetic resonance imaging (fMRI) and neuromodulation techniques such as transcranial magnetic stimulation (TMS). • The contributions of the cerebellum, and cerebro-cerebellar circuits, to cognition. The cerebellum has traditionally been viewed as a structure involved in motor coordination. However, neuroimaging and patient studies have revealed unexpected cerebellar involvement in cognitive performance beyond motor behavior. We are specifically interested in cerebellar contributions to verbal working memory performance. • The effects of chonic heavy alcohol consumption on cognition and brain activation underlying cognitive function. We are also interested in neurovascular changes caused by alcohol, as well as changes in brain structure and functional connectivity. • How aging in humans affects neural systems that are important for associative learning and stimulus awareness. These investigations pay special attention to neural systems important for classical eyeblink conditioning in the cerebellum and medial temporal lobe, as well as structures involved in attention in the parietal lobe. • Integration of transcranial magnetic stimulation with functional MRI. TMS and fMRI are complementary methods, because fMRI can reveal which regions of the brain activate during a cognitive task, whereas TMS can assess which of those activations are necessary for performance. We have recently developed a system for measuring fMRI brain activation concurrently with TMS administration in the scanner, and these methods are particularly suited for non-invasively studying brain connectivity in humans.